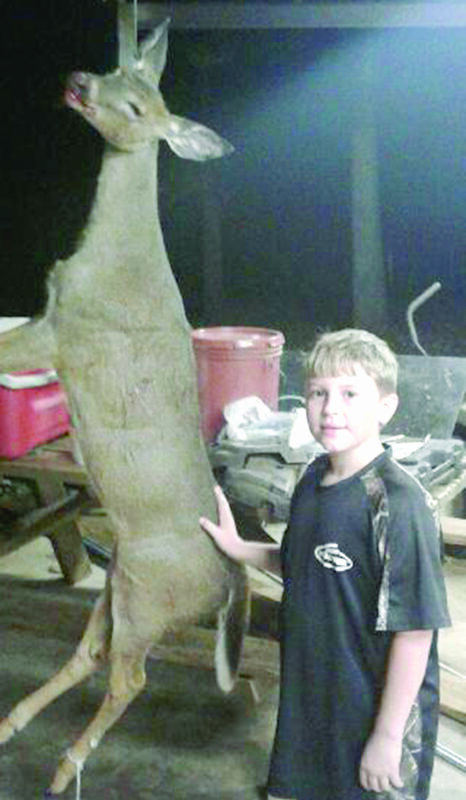 Skyler Hill Davis, 10, got this doe Nov. 7 at 4:20 p.m. in Natchitoches Parish. It was his second deer of the season. He downed it with one shot from 243 Remington rifle at 100 yards while hunting with his Pawpaw Ernie Davis. The Remington was the same gun his dad, Ernie Davis Jr., used to down his first deer 21 years ago.